The company has commissioned Autoclaved Aerated Concrete (AAC) Blocks Project having capacity of 3 Lakh Cubic Meter Per Annum at Sikandrabad, Bulandshahr in Uttar Pradesh. Shree Cement Ltd has commissioned Autoclaved Aerated Concrete (AAC) Blocks Project having a capacity of 3 Lakh Cubic Meter Per Annum at Sikandrabad, Bulandshahr in Uttar Pradesh on March 29, 2016. 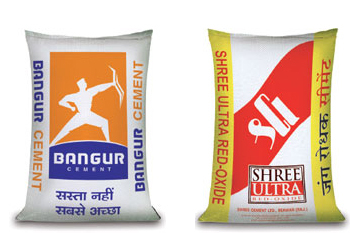 Shree Cement Ltd is currently trading at Rs. 12361.25, up by Rs. 293.35 or 2.43% from its previous closing of Rs. 12067.9 on the BSE. The scrip opened at Rs. 12457.35 and has touched a high and low of Rs. 12625 and Rs. 12361.25 respectively. So far 5829(NSE+BSE) shares were traded on the counter. The current market cap of the company is Rs. 42044.56 crore. The BSE group 'A' stock of face value Rs. 10 has touched a 52 week high of Rs. 13344.9 on 23-Oct-2015 and a 52 week low of Rs. 9350 on 15-Jan-2016. Last one week high and low of the scrip stood at Rs. 12720 and Rs. 12007.75 respectively. The promoters holding in the company stood at 64.79 % while Institutions and Non-Institutions held 29 % and 6.21 % respectively.